told by the people living them. On Sept. 13, Pennsylvania Democratic state legislators held a press conference to unveil their plan to put forth several pieces of legislation intended to “improve the relationship between our communities and our neighborhoods and our law enforcement community as well.” This long-awaited action from our elected officials is a distressing attempt to remain neutral in a time of unrest, following the police murder of Antwon Rose II. It comes only after the eruption of a region that has experienced and witnessed police violence for decades. On the surface, without a critical lens, it could appear to be a solution-driven effort to curtail police violence. But at its core, it is yet another police stimulus package that will strengthen the tentacle that serves as the vanguard of the United States punishment system. During the press conference, State Rep. Ed Gainey, D-Lincoln-Lemington, stated that, “We are not here to point fingers at anybody; we are here to talk about how we save a life.” While I agree that human life should always be centered in legislative decisions, I contend that such a statement and alike ideologies are barriers to actually saving lives. 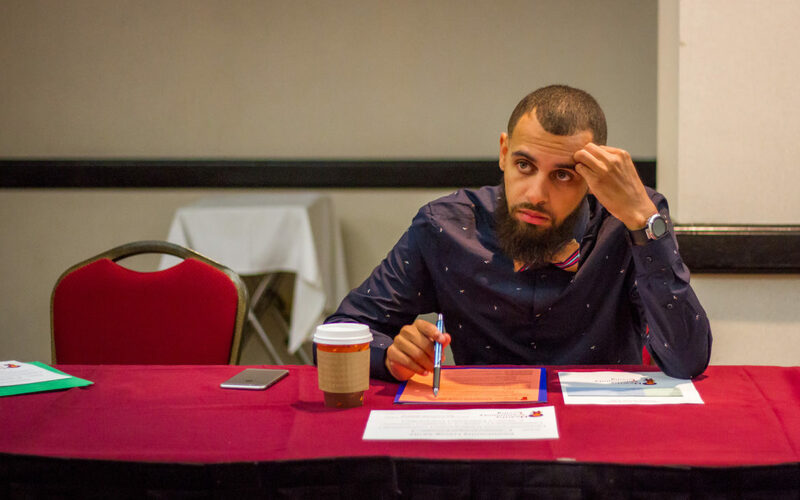 Under no circumstance should community be expected to share the responsibility of repairing the harm caused by state-sanctioned violence and murder. The lack of urgency from these same elected officials to put forth any meaningful legislation in the wake of the police killings of Bruce Kelley Jr., Christopher Thompkins, Mark Daniels and others is not lost on us. 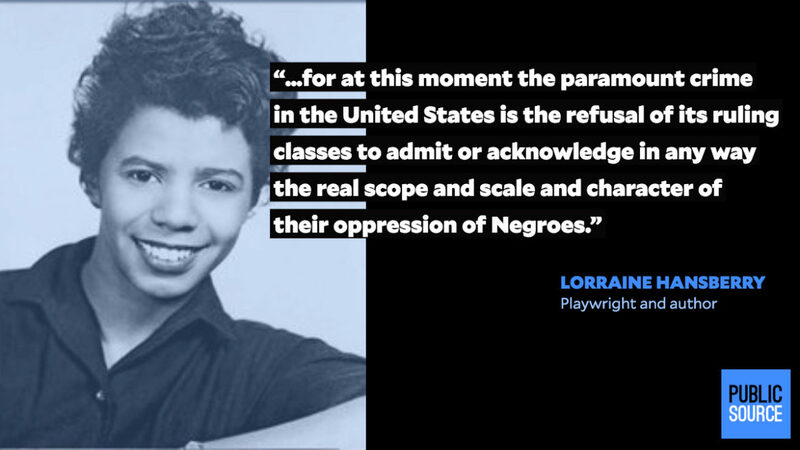 Dustin Gibson, a Pittsburgh activist, highlighted Lorraine Hansberry's quote as he wrote this first-person essay. If our focus is only concentrated on preventing the police from killing us, then we fail to acknowledge and address the countless people who suffer from police violence daily — many of whom are unaccounted for and will never be named. The survival of Black people in America (especially those of us who are multiply marginalized) has never been contingent upon law enforcement’s ability to protect us. Rather it has been us protecting us, at times, from law enforcement. Consistent with historical evidence, the most recent set of Pittsburgh policing data provides a small scope of the reality of existing while Black in Pittsburgh. Black people in the City of Pittsburgh are disproportionately targeted in traffic stops, unwarranted search and seizures, police killings, arrests and use of force by officers. 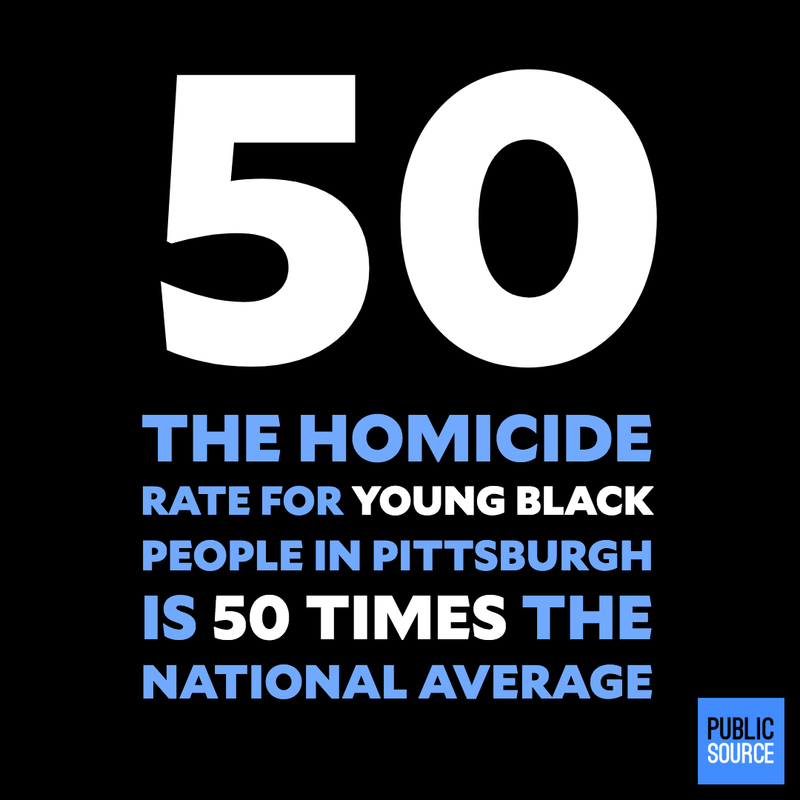 The homicide rate for young Black people in Pittsburgh is 50 times the national average. 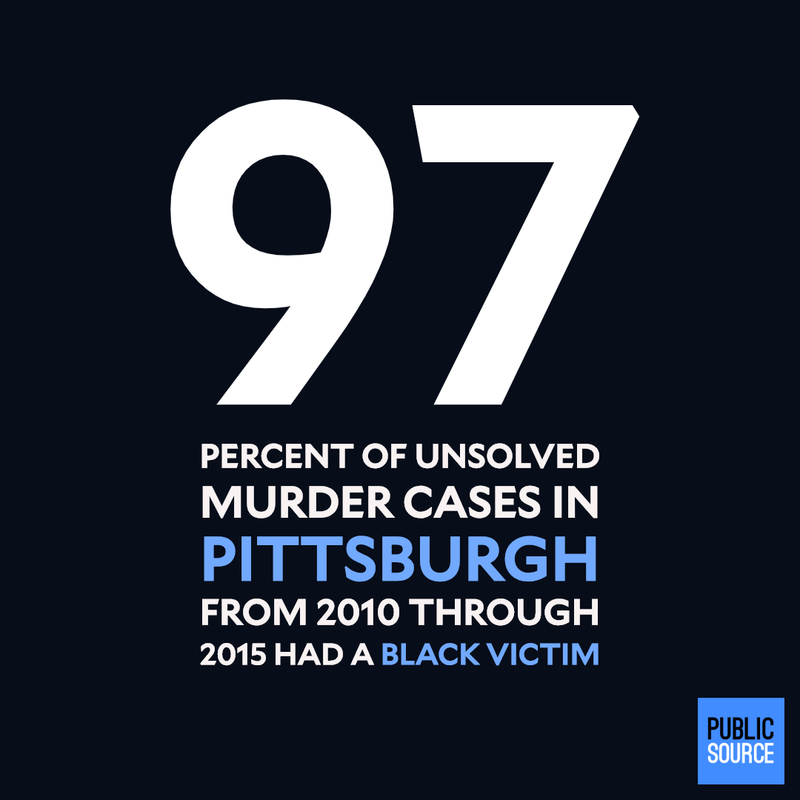 And, of all unsolved murders in Pittsburgh between 2010 to 2015, 97 percent of them were Black victims. We are, in fact, overpoliced and underprotected. Despite a renewed push for police accountability led by Brandi Fisher after the 2010 brutal police beating of Jordan Miles and subsequent police shooting of Leon Ford, the conditions have remained basically unchanged. Pittsburgh is where social proximity to whiteness is lauded as opportunity and often exploited. It is a place that the existence of Black people in the future is controversial and symbolic gestures of peace often overshadow reality. For instance, Pittsburgh Mayor William Peduto joined the Juneteenth parade just days after Antwon Rose II was murdered by East Pittsburgh police officer Michael Rosfeld. Peduto stood shoulder to shoulder with a community calling for justice, while ignoring the actions of Pittsburgh police the night before; when protesters were hit by a car accelerating through the crowd, instead of offering aid, the police formed a wall of protection for people spewing racist hate speech toward the protesters. As the weeks of protests continued, the intensity of the police response increased. Vehicles continued to drive through protests as officers looked on. The mayor worked to shift the narrative online, only taking positive action toward justice after being confronted publicly. Pittsburgh is a town that lives up to its liberal political identity by perpetuating the violence that it claims to fight against. Pittsburgh is where the naked, 16-year-old Black body of Teaira Whitehead was found in a park, doused with bleach and blamed for her own murder. Pittsburgh is where about half of the county jail population is Black in one of the Whitest metropolitan areas in the nation. Pittsburgh is where Jules Williams, a Black trans woman, begged for help prior to being repeatedly raped while incarcerated and then was re-incarcerated where she begged for help again, only to be stripped naked and put on display. Pittsburgh is where Mark Daniels, a Black man, bled to death after being shot by an officer who had shot two people on separate occasions in fewer than 10 months (and honored with the Starsky and Hutch Award for his actions in one of them). In 2015, Pittsburgh was selected as one of the six pilot sites to participate in the National Initiative for Building Community Trust and Justice. The project was designed to improve relationships and increase trust between communities and the “criminal justice system” by focusing on procedural justice, implicit bias and reconciliation. Some members of the community (myself included) supported this effort from its inception under the pretense that structural changes would be made to reduce police violence and increase accountability. This initiative was made possible by the willingness of community members to foster relationships and create space for dialogue. For years, many of us organized gatherings across the city to bring communities impacted by police violence and the police together. We led bimonthly groups of young people through difficult conversations with police and developed policy recommendations that addressed their concerns. We hosted events that allowed residents the opportunity to learn about policing tactics, administrative positions and police initiatives. Those efforts were not only co-opted, but became marketing ploys used after incidents of police violence arised. "In this moment, we have an opportunity to imagine the possibility of freedom — to design ideas that decrease the proliferating occupation of police in low/no income Black and Brown communities and shrink our system of punishment." After receiving peer training on “implicit bias” from one of the most violent police forces in the nation, the Chicago Police Department, the Pittsburgh police created versions of the training for the community to understand their own implicit biases. The focus shifted from the police addressing their biases to community understanding the process of unpacking them. This left little space for police accountability and weighed heavily on the idea that most, if not all, incidents of police violence were due to unconscious thoughts. The police department’s eagerness to provide transparency and cultivate relationships has since dwindled along with the “truth-telling and reconciliation” component of the National Initiative. The modern paradigm of “community policing” was born in the flames of the 1960s resistance to police violence across the nation. The uprisings were followed by a mode of policing tactics that, among other things, have expanded the volume and intensity of police, extended the surveillance of community and displaced “crime” temporarily without addressing root causes — all under the guise of improving relationships between communities and law enforcement. The rhetorical messaging of “community policing” is often deployed as a strategic response to public dissent of police violence. It shifts the responsibility for change from the institution of policing to a joint effort in concert with community. This messaging leaves behind almost all traces of true transformation. We must resist the notion that police violence is derivative of a lack of community engagement. True in communities as it is in schools, when more officers are present, more arrests are made. The ideology that the more officers know about the people in the community, the less likely they are to inflict violence is in direct opposition to what we’ve come to know about violence, relationships and proximity. This brings us back to the legislation proposed by some of the state’s Democrats. Presented as innocuous reforms that will protect community and police alike, the implications of their proposal will do little to instill accountability and stop police violence. Their proposals will further deepen the already militarized police state. The package is separated into three different categories, with the first being “Police Administration & Management.” It calls for cultural awareness and diversity training, an increase in officer wages and a policing incentive program study. Calls for training in the wake of police killings ignore the intentionality of actions, have proven to be insufficient and will provide the police with more resources that should be allocated elsewhere. The suggestion that increasing the wages of officers will decrease the harm they cause is offensive. It implies that their treatment of the community is contingent upon how much is in their bank account. The remaining categories of the lawmakers’ proposal are “Community Relations” and “Event Response,” which include efforts to diversify police forces, establish oversight boards, create a police shooting response team and more. Instead of creating yet another government-controlled entity, I believe energy should be focused on creating mechanisms of accountability that include elected independent civilian review boards with the power to investigate and fire officers and administration. With the exception of visual aesthetics, diversity among police forces have been proven to do little to transform the culture of policing and nothing to change its function. The proposal to have mental health professionals respond to police shootings for both the community and the officer who shot someone is another example of how this legislation works to continue the narrative that police officers are always in the right and should be afforded the benefit of the doubt. Reforms that don’t disinvest from police and invest in community are disingenuous at best. The occupation of police in low/no income Black and Brown communities have now expanded to schools, which has led to the criminalization of students, particularly Black Disabled students. Measures to end police violence must include efforts to decrease the possibility of interaction with officers. Offer reparations to victims of police violence and their families. Require police officers to carry personal liability insurance to cover costs of brutality or death claims. Decrease and redirect policing and prison funds to other social goods. Create (elected) independent civilian police accountability boards with power to investigate, discipline, fire police officers and administrators. Simplify the process of dissolving existing police departments. Improve data transparency (stops, arrests, budgeting, weapons, etc.). Any reforms must also directly address ableism and racism as the foundational causes for police violence and incarceration and work to acknowledge and repair the harm that communities have experienced. Police shootings are a form of gun violence and should be situated in legislation as such. This should be done without associating gun violence with mental illness, further stigmatizing Disabled people who are much more likely to be victims of violence than perpetrators and are killed by police at higher rates than any other group. The many protections that officers receive are constituted through the collective bargaining agreements that exist between municipalities and police unions. This process should be open and transparent to allow for community input and oversight. In this moment, we have an opportunity to imagine the possibility of freedom — to design ideas that decrease the proliferating occupation of police in low/no income Black and Brown communities and shrink our system of punishment. It is on us to build a world that prioritizes people over property and life over dollars and to erect institutions that disappear social problems instead of people. I envision a place where redemption is offered in lieu of death sentences and people — women in particular — are not punished for surviving. What we put forth today shall serve as evidence of the love we have for the people who come tomorrow. Dustin Gibson is the co-founder of Disability Advocates for Rights and Transition. He can be reached at dustinpgibson@gmail.com. 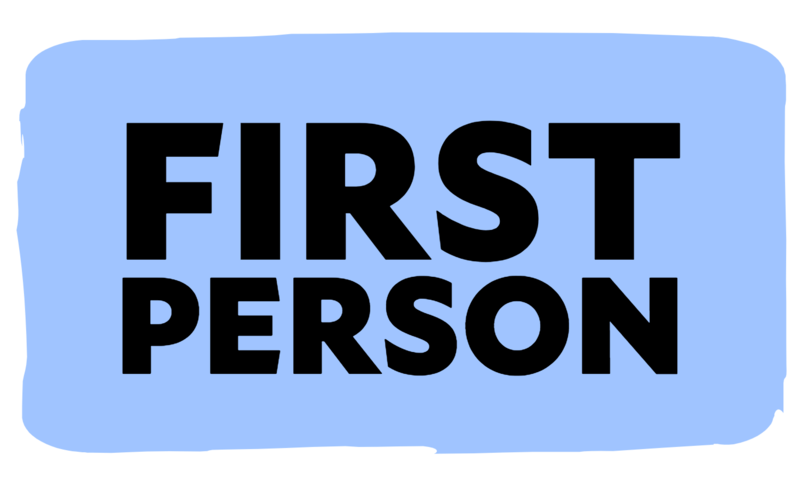 This first-person essay was fact-checked by J. Dale Shoemaker. Women my age weren’t called ‘autistic’ growing up. We were awkward or ‘rude.’ And we missed out on services. You know me. If you’re over the age of say, 40, chances are you went to school with a girl like me. I was more or less on even footing with you academically, but I struggled with everything else. My physical movements were often spastic and jerky. I blurted rather than talked. I couldn’t hold a pencil properly. I got upset when rules weren’t followed. I was eager to please; yet I sometimes said the dumbest, rudest thing possible. Vanessa German, a visual and performance artist based in Pittsburgh, has written three poems addressed to Antwon Rose II this week during the trial of former East Pittsburgh police officer Michael Rosfeld who fatally shot the teenager on June 19.